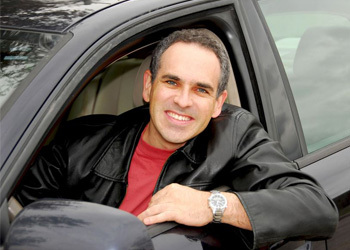 Millions of drivers have completed our programs since we first began offering traffic school, defensive driving, and driver improvement courses over thirty years ago. By providing the highest quality products and services and treating our customers with professionalism, integrity, and respect, Driver Training Associates has established an outstanding reputation in our industry. Congratulations to the designer of this outstanding course. I'm a very experienced driver and didn't think I needed to take it. However, after passing it, I have to admit I'm glad I took it. It provided an excellent refresher course, with some new information I hadn't encountered before. The teaching videos are superb teaching tools. I loved the concept of the attitude states – it really makes you think about which driver mindset you should always have to minimize the chances of a serious accident, which would be a life-changing event for all parties involved. This course is of such high quality it should be a requirement of anyone renewing their license in the State of Florida. Just think how many lives this would save. Thank you. Great job. Really easy to do on my own schedule and very cheap. I learned a lot from this course and there were a lot of new things that I did not know. Excellent course. Would be a good driver's ed course for high school students. Also would serve as a good safety / refresher course for junior enlisted military personnel. Thanks! The course was very informative. I enjoyed it and now have a new look on how to improve my driving habits. Thank you. Certainly more beneficial than listening to a couple of comedians at an all-you-can-eat buffet. As a parent, I would like to see this component added to Parent / Child driving lessons as a supplemental aide for parents that elect to teach their children to drive. It was very convenient and helpful. Thank you, thank you, thank you. Information was presented effectively. Videos were very helpful. The course definitely provided new information to me about driving strategies and what amount of alcohol will impair your driving. Good way to take defensive driving. Once I started, I was determined to complete the course as quickly as possible. If you're ready to discover what makes Driver Training Associates stand out from the competition, click on the register button to sign up for your course. Need help? We're just a phone call or e-mail away. Contact us and one of our friendly, professional staff members will help you find the answer you are looking for.